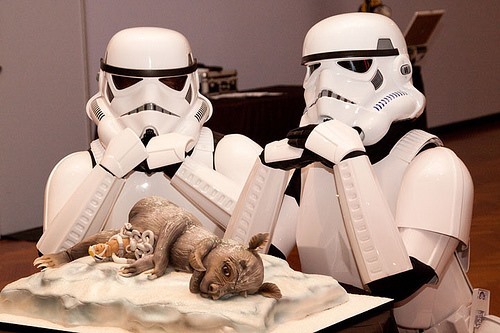 Exquisitely detailed Star Wars wedding cake! 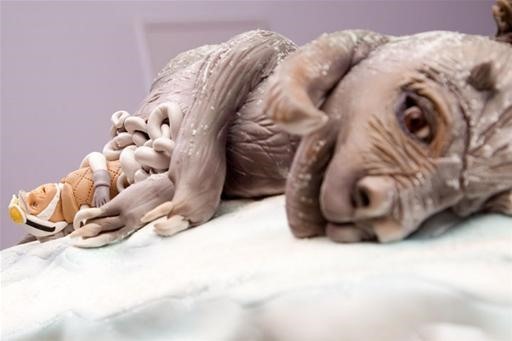 Amazing sugar art representation of Luke Skywalker lying in dead tauntaun innards, made for Star Wars artist Chris Trevas and his wife Julie. 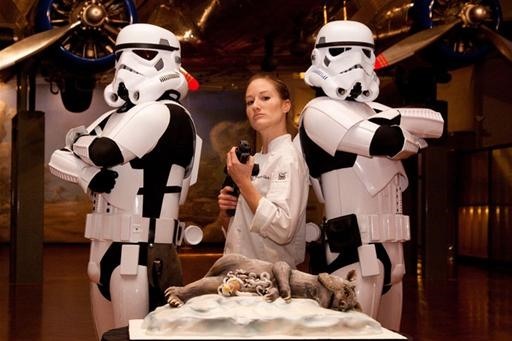 "Julie and I had Courtney Clark from Cake Nouveau of Food Network Challenge (and TLC Ultimate Cake-Off) fame do our wedding cakes including a special cake request from me — Luke Skywalker stuffed inside a dead Tauntaun!" 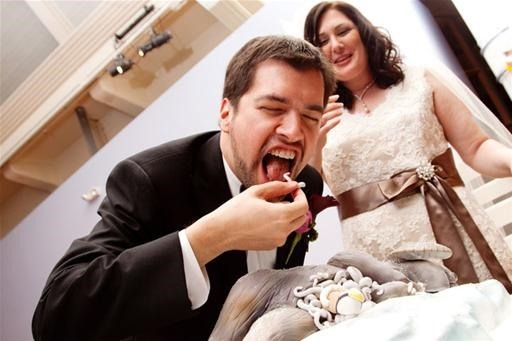 Previously, Who's Behind This Obsessively Realistic Baby Cake?